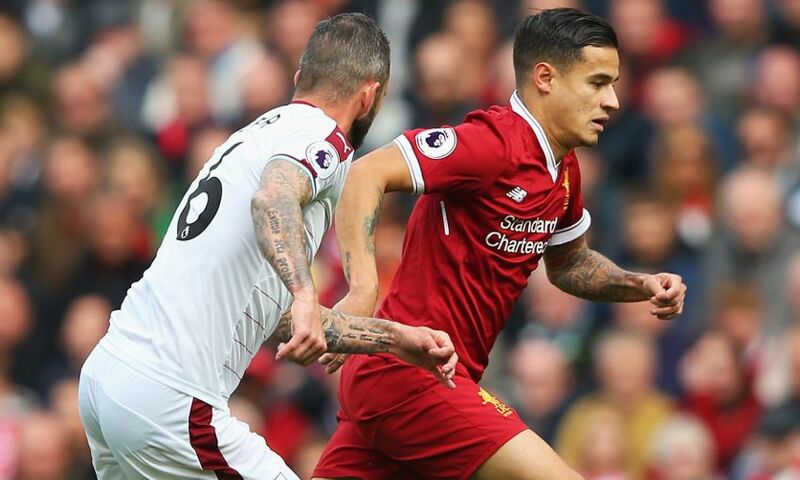 Liverpool endured a frustrating afternoon at Anfield as they were held to a 1-1 draw by Burnley on Saturday. The Reds responded quickly to going behind to an early Scott Arfield strike, with Mohamed Salah clinically scoring at the Kop end within three minutes. But the hosts were unable to find another goal in the remainder of the first half or the entirety of the second as the visitors held on for a point. With the Reds coming into the game off the back of midweek Champions League commitments, Jürgen Klopp opted to shuffle his pack significantly. The boss made seven changes to his starting XI, with Philippe Coutinho earning his first start of the season and Dejan Lovren missing out due to a sore back. Despite the reshuffle, the hosts started well, with Daniel Sturridge testing Tom Heaton's replacement Nick Pope with a low effort early before Salah had a penalty appeal waved away by referee Roger East. But Burnley provided a response and, moments after a brilliant Andy Robertson challenge had denied Chris Wood, they were ahead. The visitors won two successive headers before the ball dropped to Arfield, who had time and space in the centre of the box to bury his shot in the bottom corner. Thankfully, Liverpool did not allow the concession of the goal to disrupt their rhythm, and it was for that reason they were quickly level. Salah's diagonal run was brilliantly found by Emre Can, and the Egyptian showed coolness in chesting the ball down before slamming home. The hosts continued to push as the break neared but saw efforts from Sturridge and Salah hit the side-netting and the goalkeeper respectively as Burnley held on. The Clarets again struggled to get out of their own half when the second period resumed, with Sturridge and Coutinho taking advantage of the space in front of the box to take shots that went narrowly over. Can then tested the 'keeper with an attempt from a similar area, before Sturridge followed suit after working space on his left foot. Try as they might, though, the Reds couldn't break the deadlock - leading Klopp to call for Alex Oxlade-Chamberlain and Dominic Solanke with 78 minutes gone. In the aftermath of those changes, an intricate move that ended in Trent Alexander-Arnold shooting at Pope looked to be the nearest they would come. However, there was still time for Solanke to push a Salah cross onto the bar from close range, putting the seal on a day of frustration for the hosts.